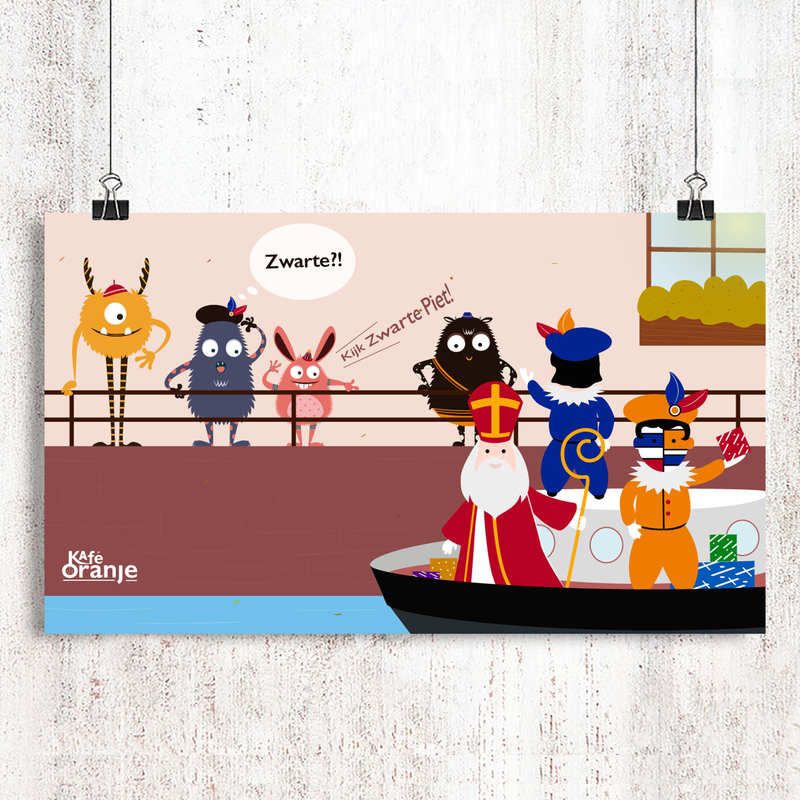 Sinterklaas and Zwarte Piets are coming, and bringing gifts for all the kids who have behaved well in 2018. 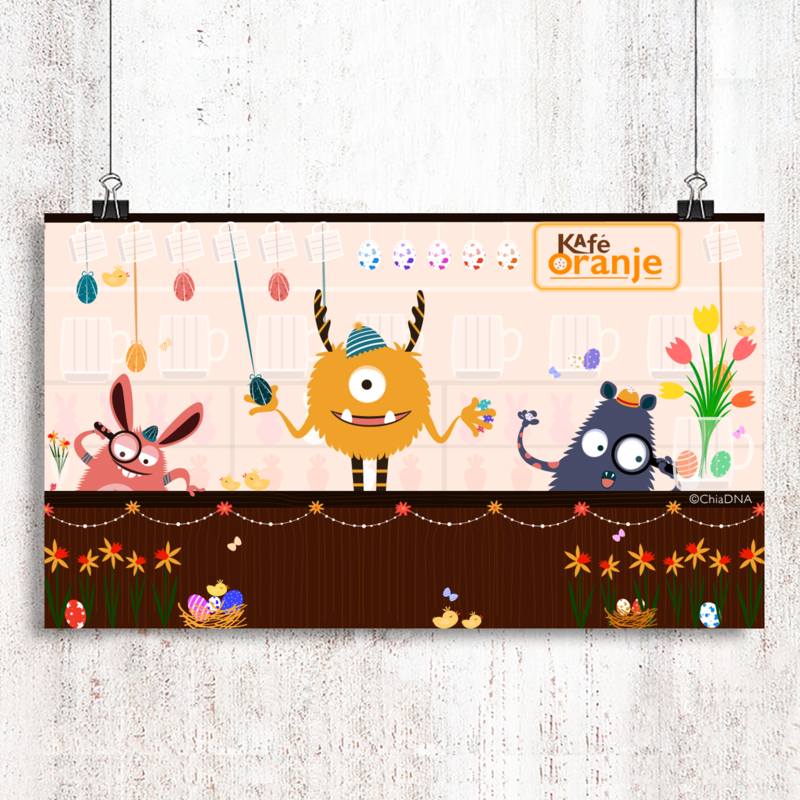 Orangie, NijNij and Koe Mei have invited Taipi to join their SinterKlaas party in the center of a city. Now they are waiting for the Sinterklaas and Zwarte Piets aside to the canal. 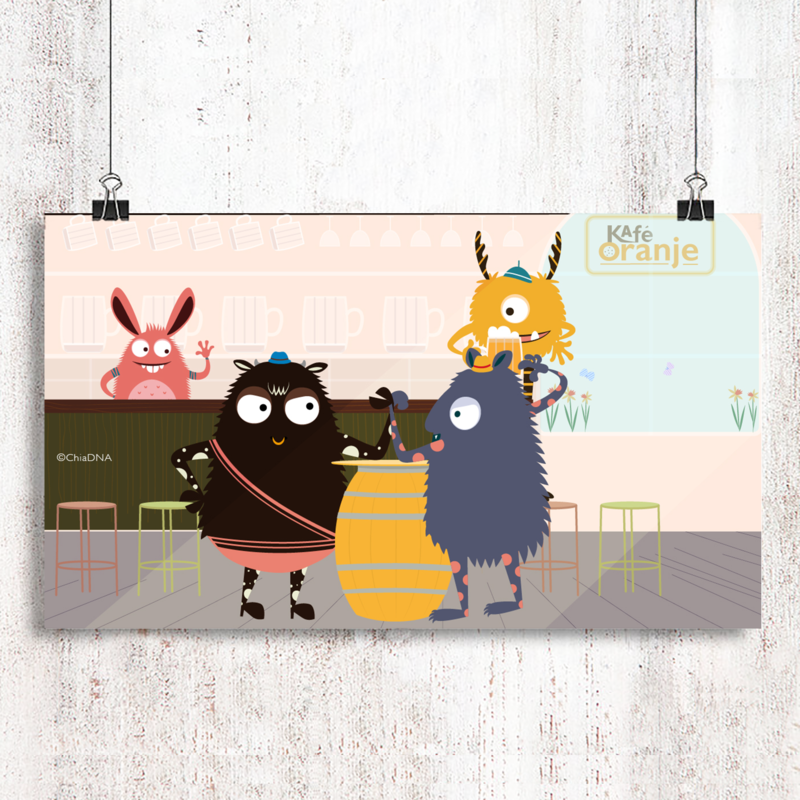 What might they say when they see the Zwarte Piets? 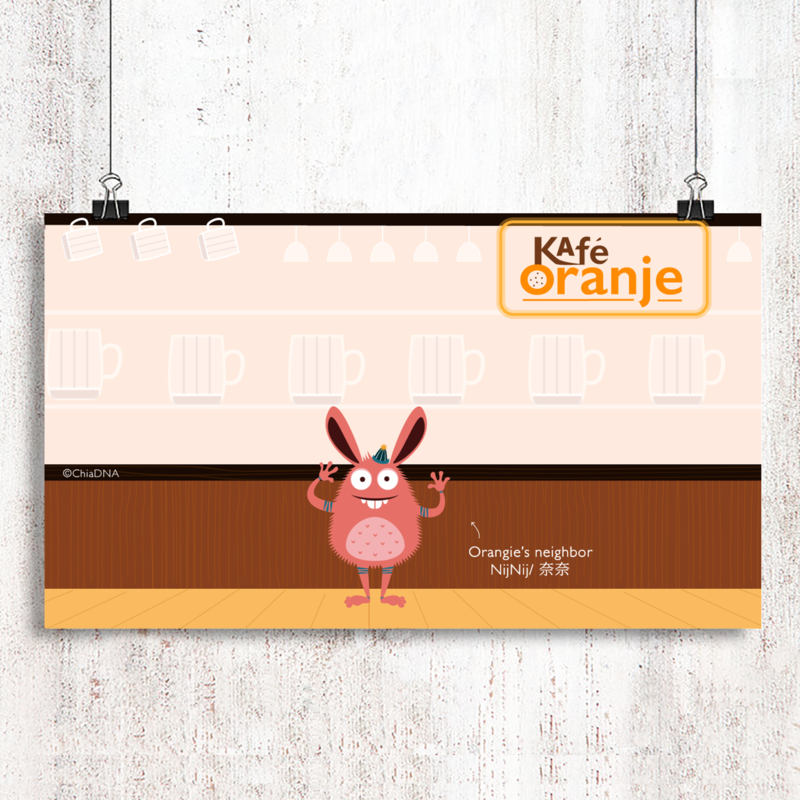 Happy Easter at Café Oranje! Today is Easter which means that the winter is almost ended and the spring is coming! 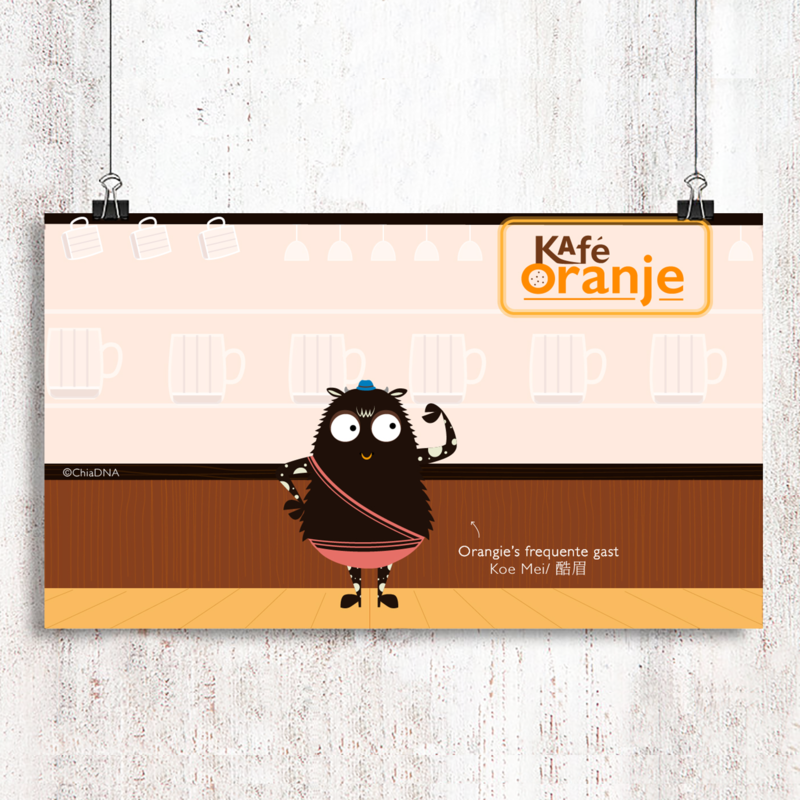 Orangie is holding an event “Easter Eggs Hunt” specially for Nij Nij and Taipi! 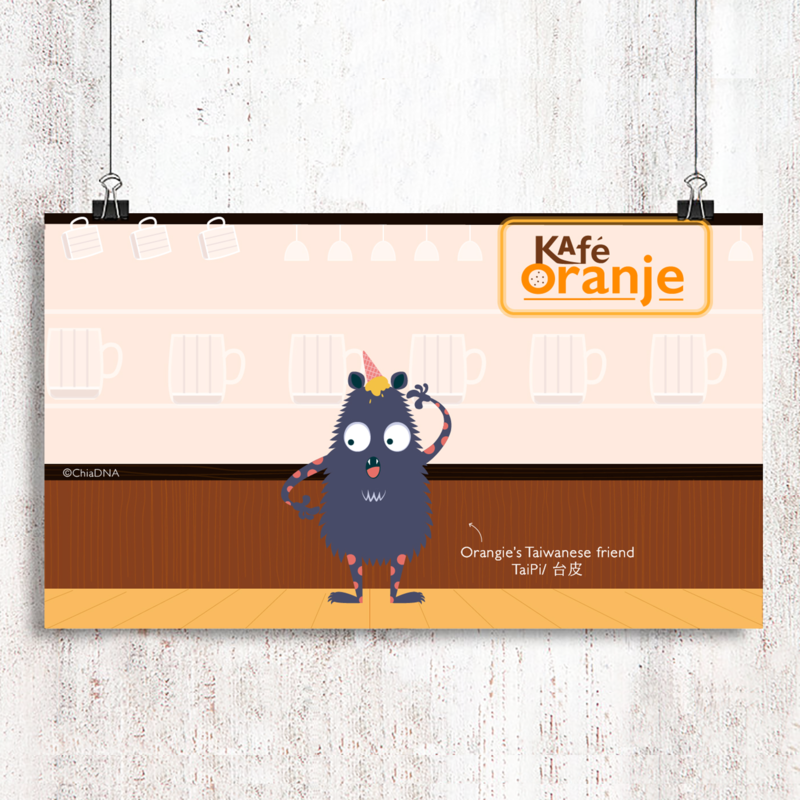 Let’s help Nij Nij and Taipi to find all the colorful Easter eggs at Café Oranje! Orangie en Nij Nij went out to visit a friend in Almere. 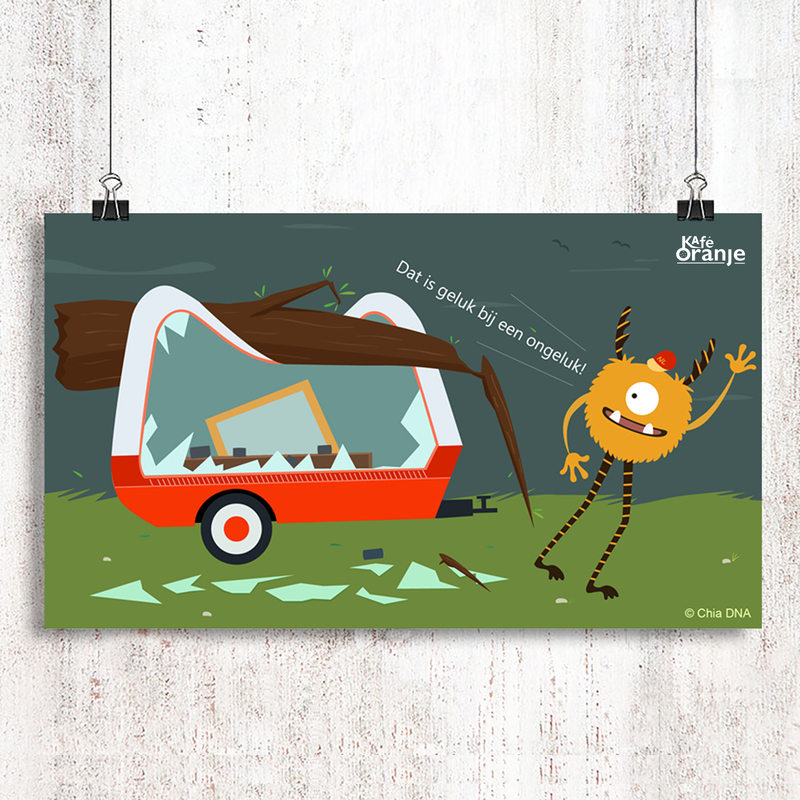 Suddenly a storm came and the wind blew over Orangie. He is catching so much wind because of his hight, and the tiny Nij Nij immediately finds a spot to hide. 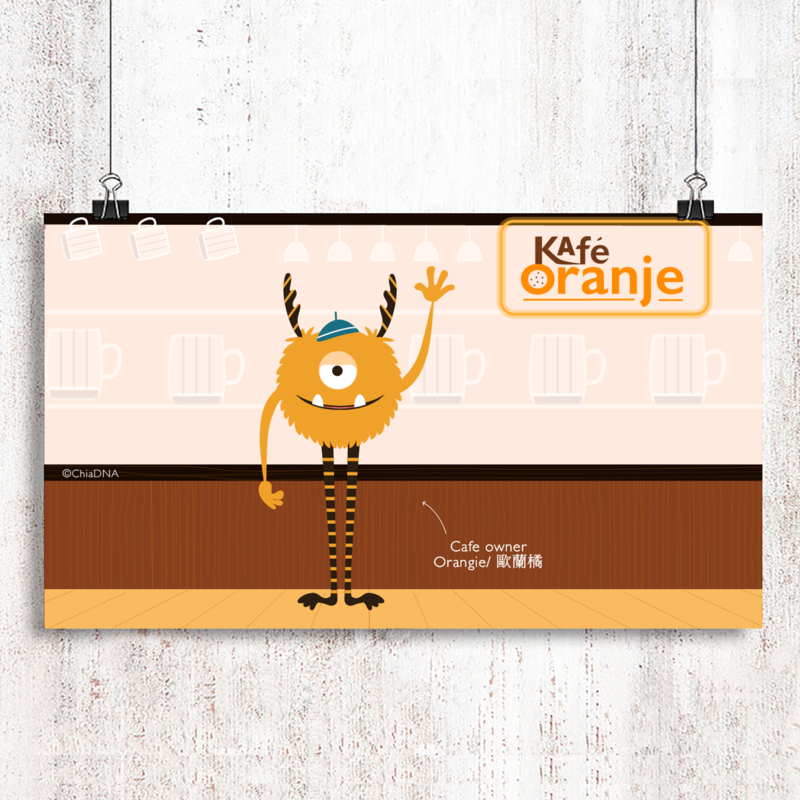 Which phrase might Nij Nij say to tease Orangie in Dutch? 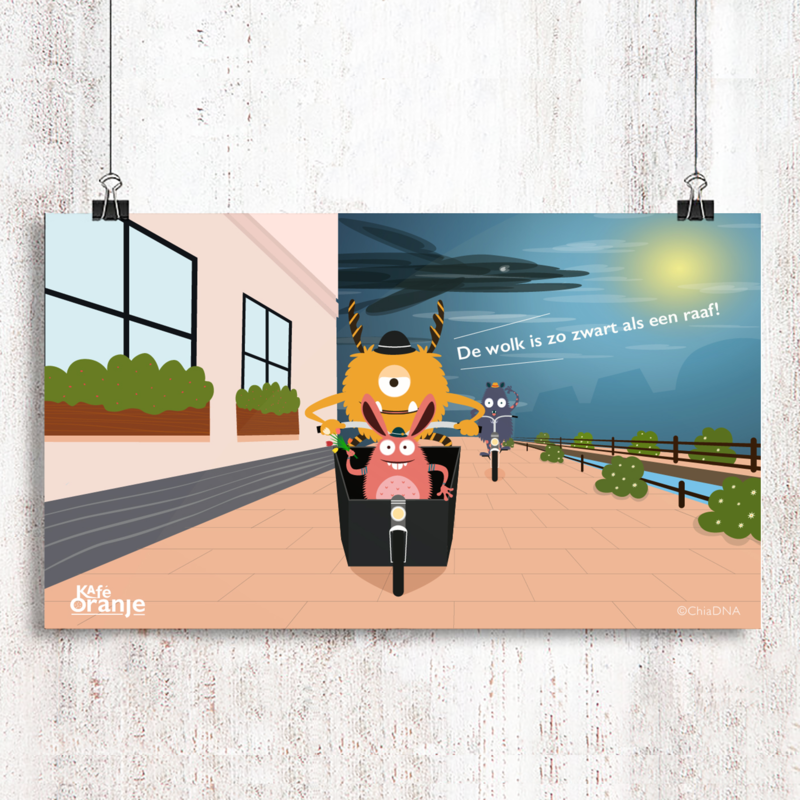 Taipi, Orangie and Nij Nij just finished shopping and they are cycling back to Café Oranje. 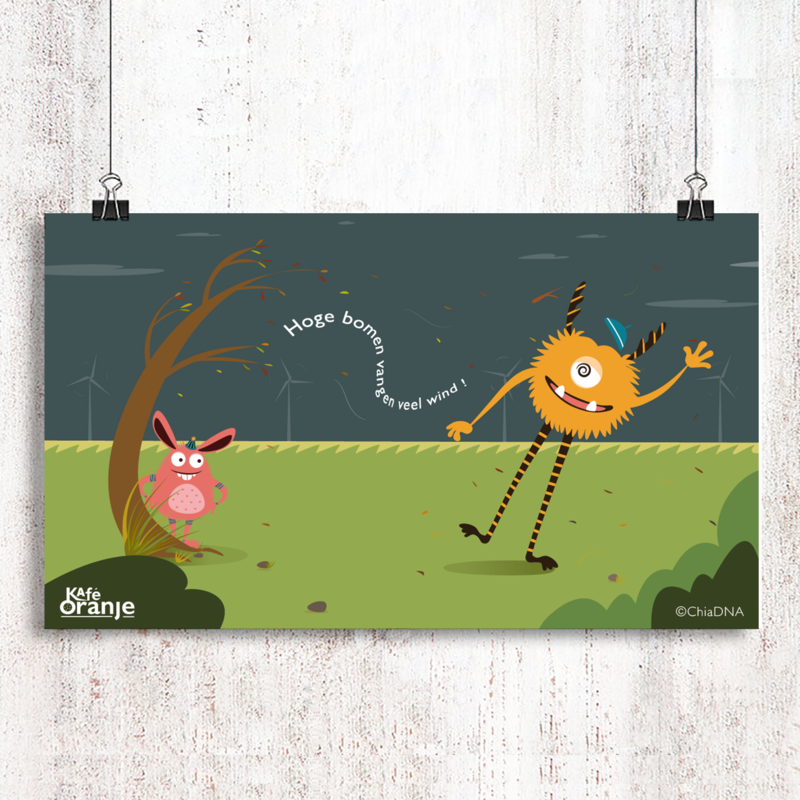 Orangie saw a big dark cloud is coming to them! 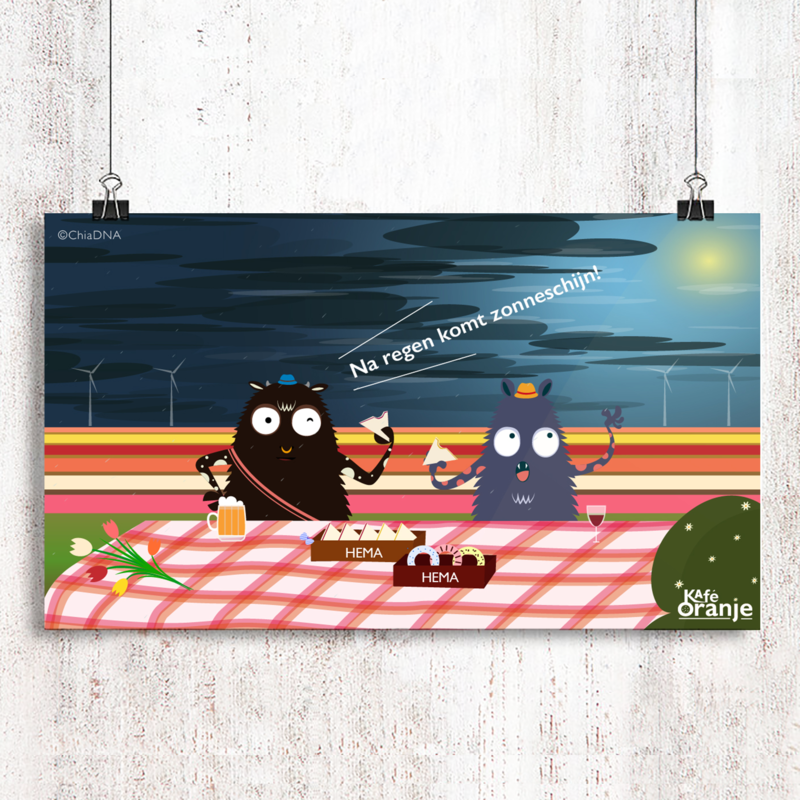 How can Orangie describe a big dark cloud in Dutch?